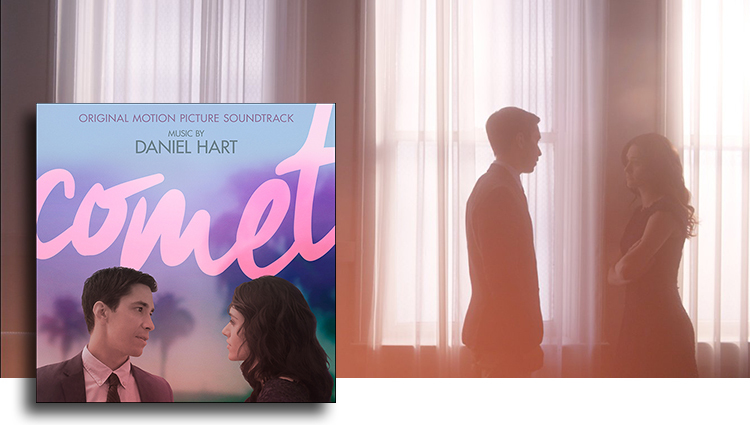 Lakeshore Records has released the Comet – Original Motion Picture Soundtrack digitally on November 27, 2015. The album features original music by Daniel Hart. Justin Long and Emmy Rossum are star-crossed lovers whose relationship blooms and unravels over the course of six years in this mysterious, dazzlingly original romance. When a chance encounter brings together the cynical Dell (Long) and the quick-witted Kimberly (Rossum), the stage is set for a tempestuous love affair that unfolds like a puzzle. As the film zigzags back and forth in time—from a meteor shower in LA, to an encounter in a Paris hotel room, to a fateful phone call—an unforgettable portrait of a relationship emerges. Sumptuously shot and boasting incredible chemistry between the leads, Comet is a one-of-a-kind cosmic love story.